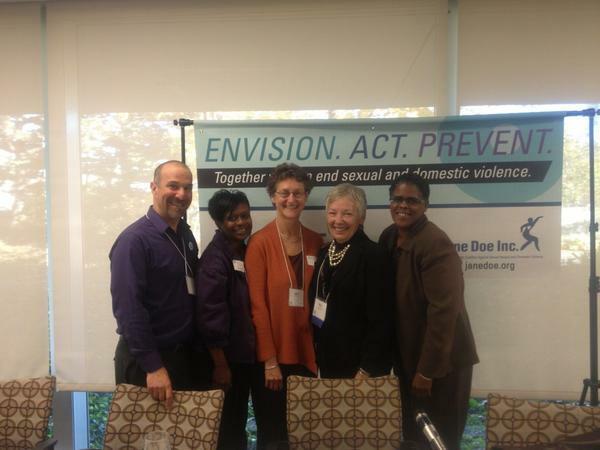 Last week I joined a panel discussion about a social justice framework for ending sexual and domestic violence for Jane Doe Inc: The Massachusetts Coalition Against Sexual Assault and Domestic Violence. 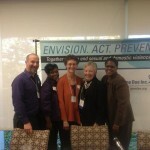 Jane Doe’s Executive Director Mary Lauby facilitated a discussion with Monika Johnson Hostler of the North Carolina Coalition Against Sexual Assault and President of the National Alliance to End Sexual Assault, consultant Joan Tabachnick and Isa Woldeguiorguis of the Center for Hope and Healing in Lowell, MA. Below is a recording of the panel discussion. The following day I led a workshop titled “Trends in Prevention” where I highlighted efforts such as SPARK Summit and One Billion Rising. Click here for the handouts to the presentation.